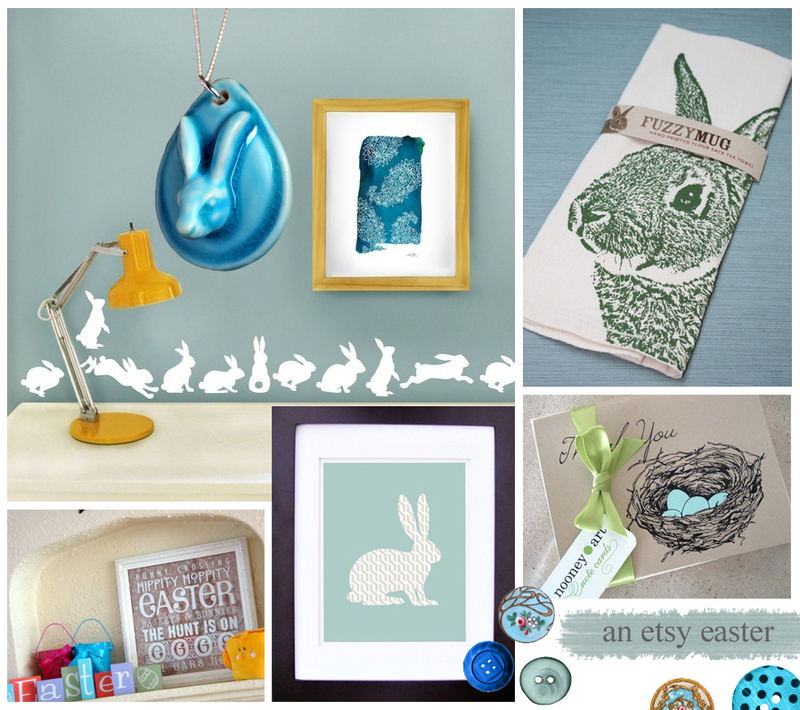 I was browsing through Etsy searching for some Easter inspiration when I stumbled upon these adorable digital designs by Sunshine Lemons (adorable name too)! 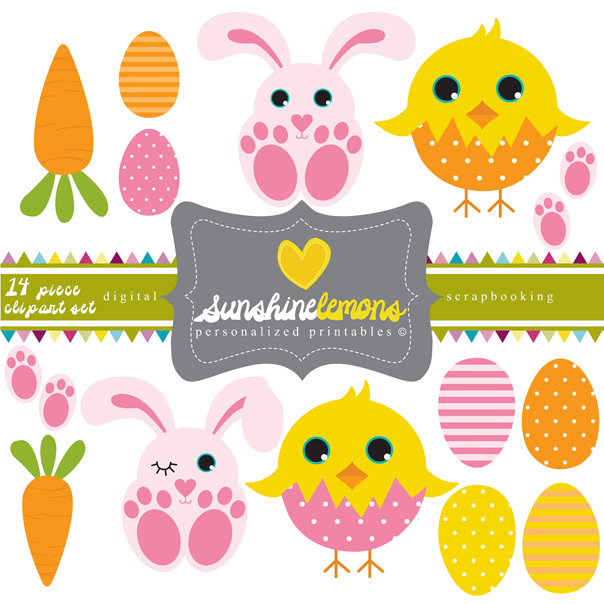 The brainchild of Louise Sanders, Sunshine Lemons specializes in digital scrapbooking paper sets and party printables that range anything from labels, gift tags and greeting cards, to cake toppers, coaster designs and paper bunting (you just need a little imagination). 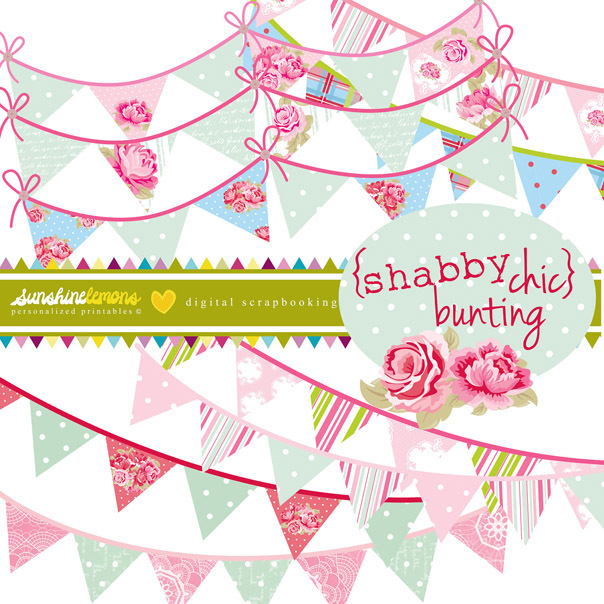 Super pretty Shabby Chic bunting printables! This set can be purchased through the Sunshine Lemons' Etsy shop. This is an excellent resource if you are one of those crafty DIY humans. Furthermore, the extreme cuteness-factor in Louise’s designs makes for perfect kids party decorations and invites. Another exciting little fact about Sunshine Lemons – she’s from Durban. 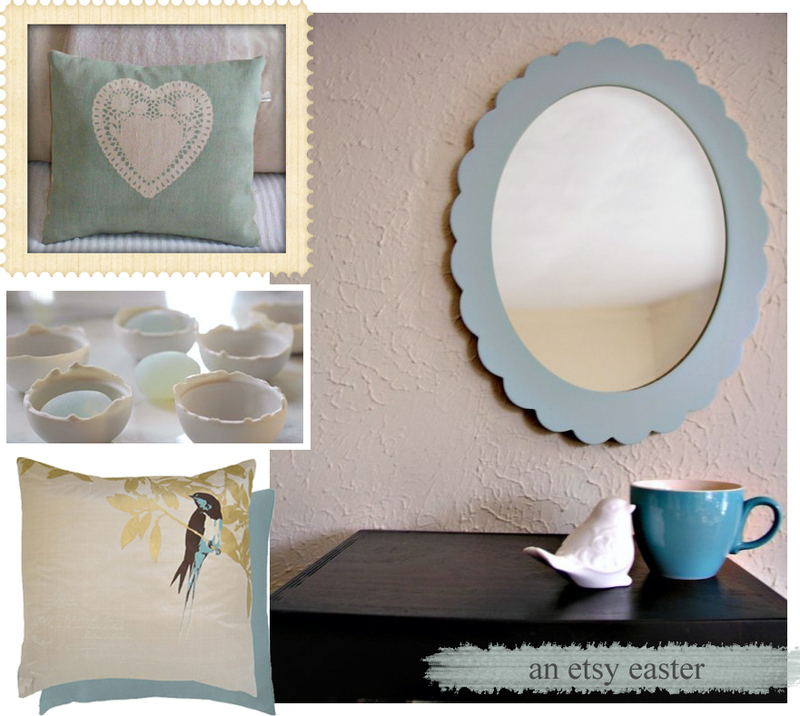 And you know how I LOVE to find new South African creatives – especially on Etsy! 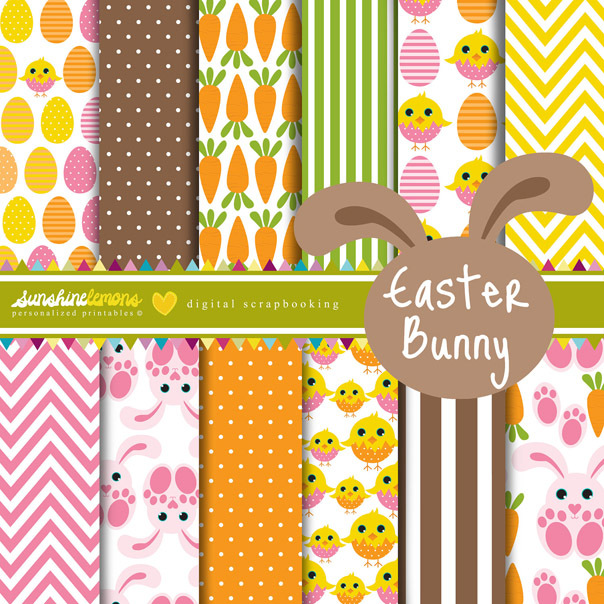 You can also download this awesome digital Easter freebie (below) from Sunshine Lemons’ website: here… Boy, I love freebies! 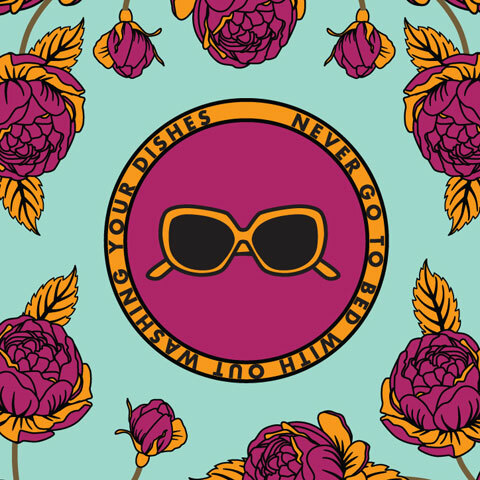 Rose and I love this Babushka digital scrapbook paper set. 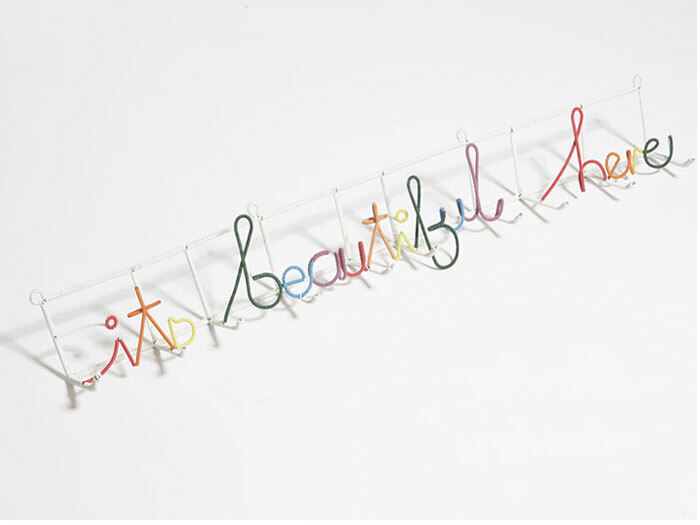 So beautiful... wonder if Louise added the "ya ya" part as a Kate Bush tribute? This set can be purchased through the Sunshine Lemons Etsy shop. 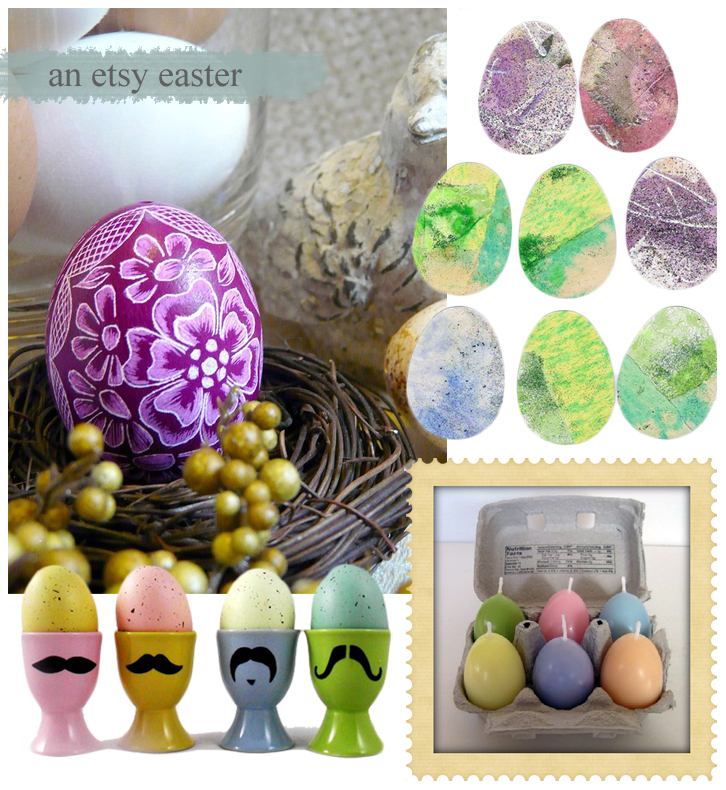 Easter printable set. This set can be purchased through the Sunshine Lemons Etsy shop. 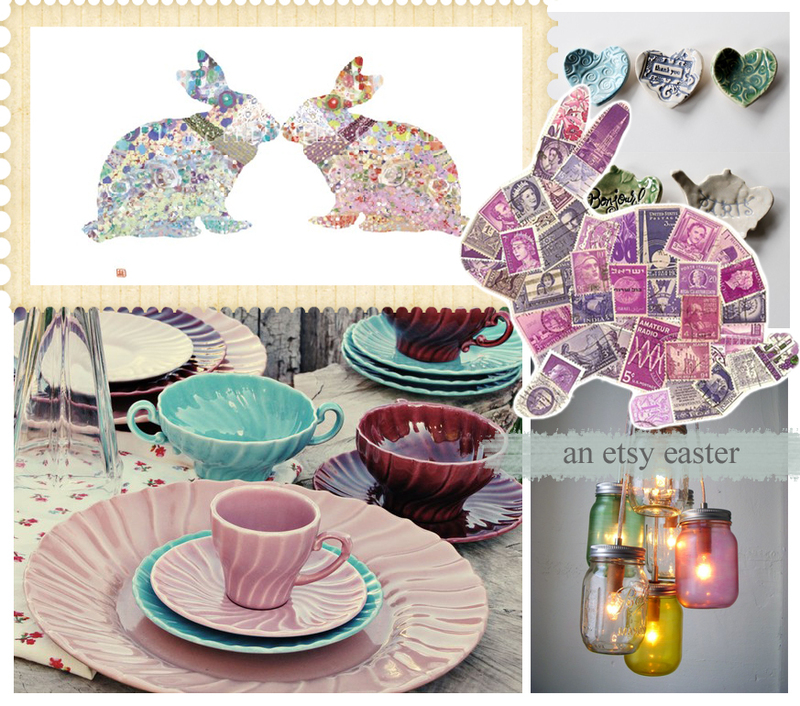 Easter bunnies! This set can be purchased through the Sunshine Lemons Etsy shop. 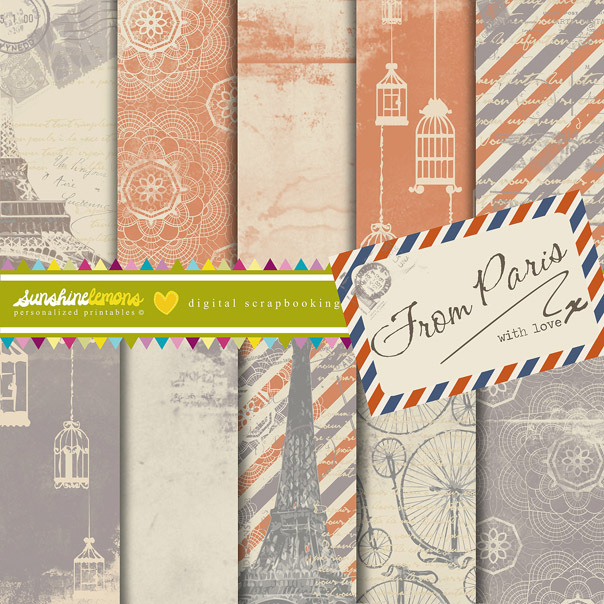 A little bit of Vintage Paris! This set can be purchased through the Sunshine Lemons Etsy shop. 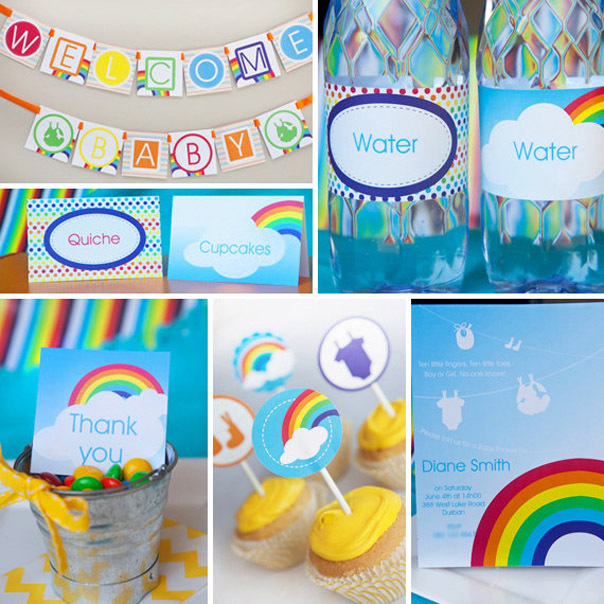 Gorgeous rainbow themed party printables for a baby shower. So clever! This set can be purchased through the Sunshine Lemons Etsy shop. 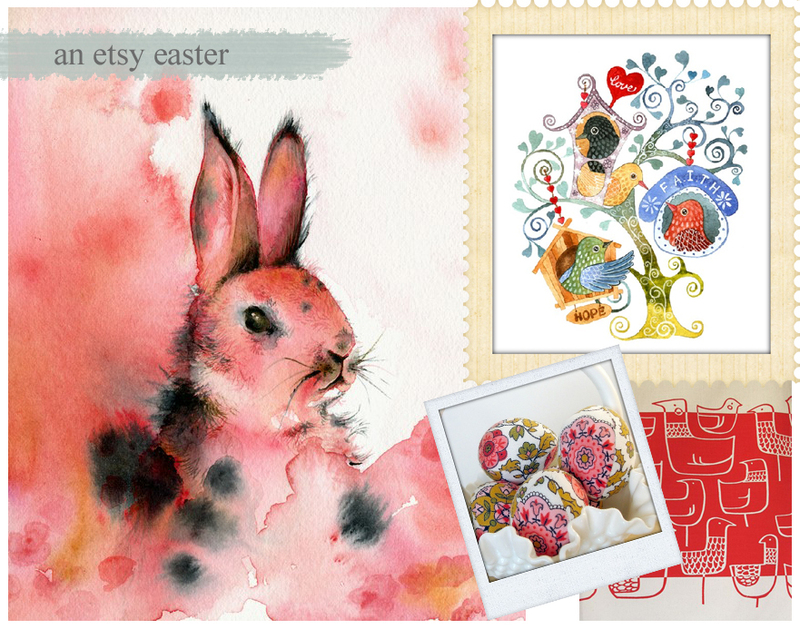 Cute Easter printable set - I almost feel inspired to make my own Easter greeting cards! This set can be purchased through the Sunshine Lemons Etsy shop. 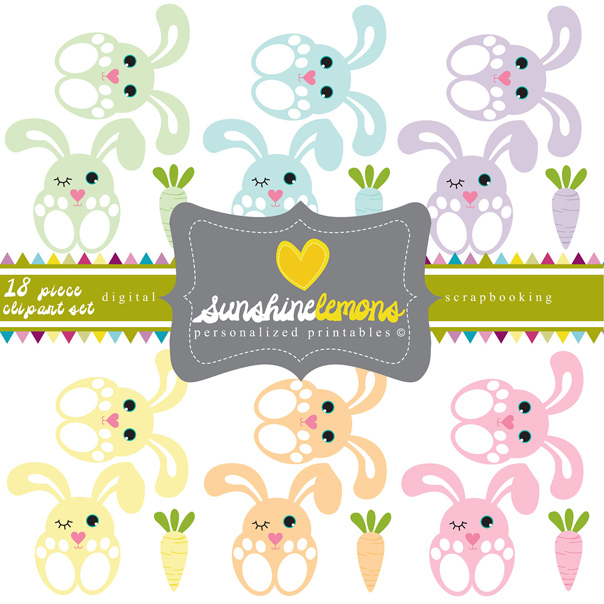 Do check out Sunshine Lemons’ website and Etsy shop for more adorable digital printables. You can also find her on Facebook and Twitter. Happy Easter everyone! Have an awesome long weekend! At the moment in time, we are going through our winter season here in SA. Having said that, in Cape Town we are experiencing the most gorgeous warm winter days, when it should actually be grey, wet and cold days (much like it was up until about 10 days ago). BUT – I am not fooled. Those cold, wet and grey days are going to be back. 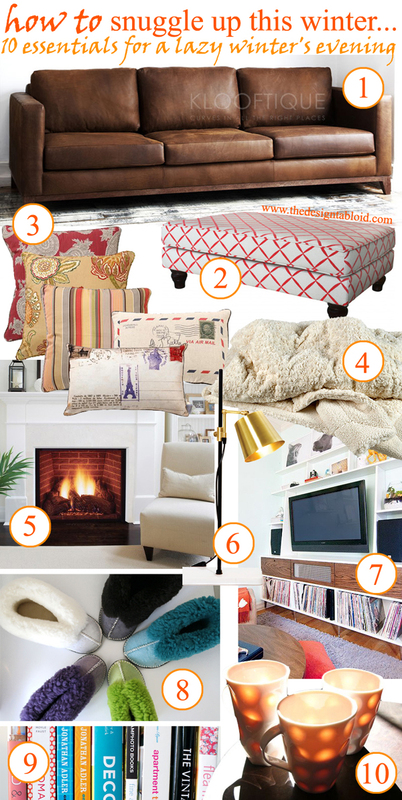 And when it does, I hope you have that the 10 Décor/Lifestyle essential below will be found in your living room. 1. Comfortable sofa to stretch out on. OR that easy chair in antique leather that shouts out “sink into me”. 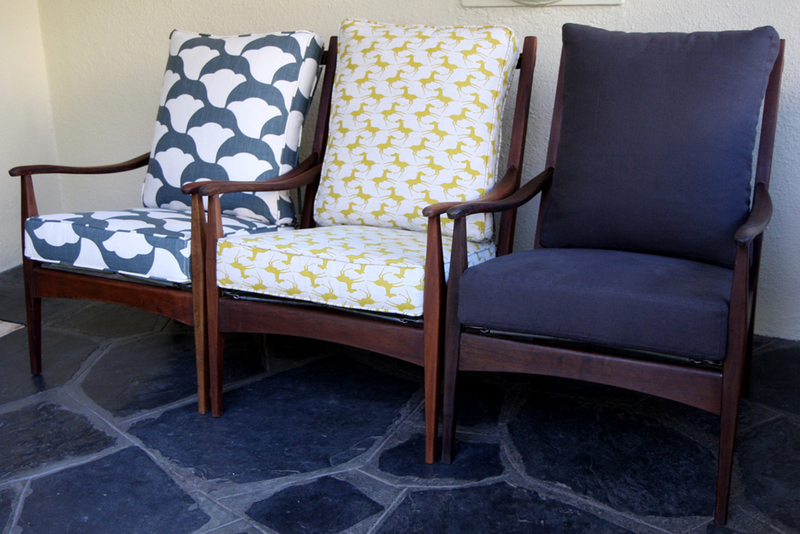 This comfy sofa is from Klooftique. 2. 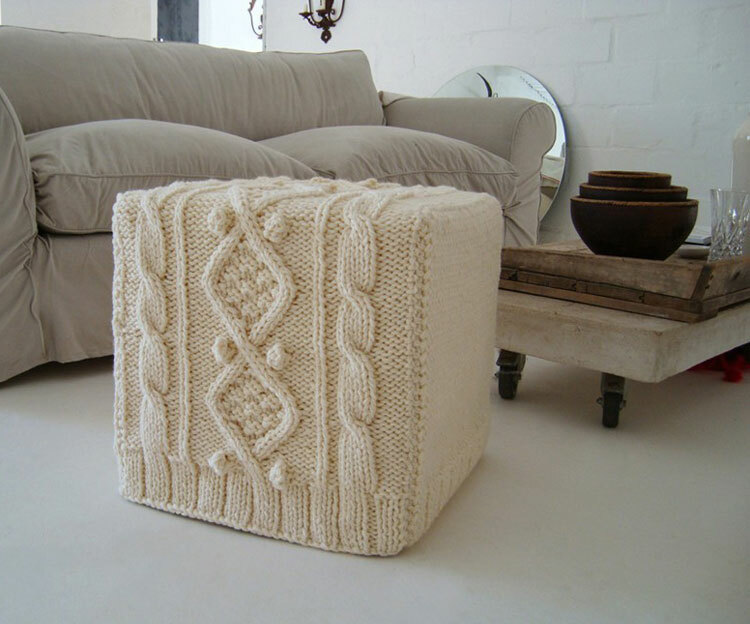 Ottoman or footstool, onto which to lift up your feet. 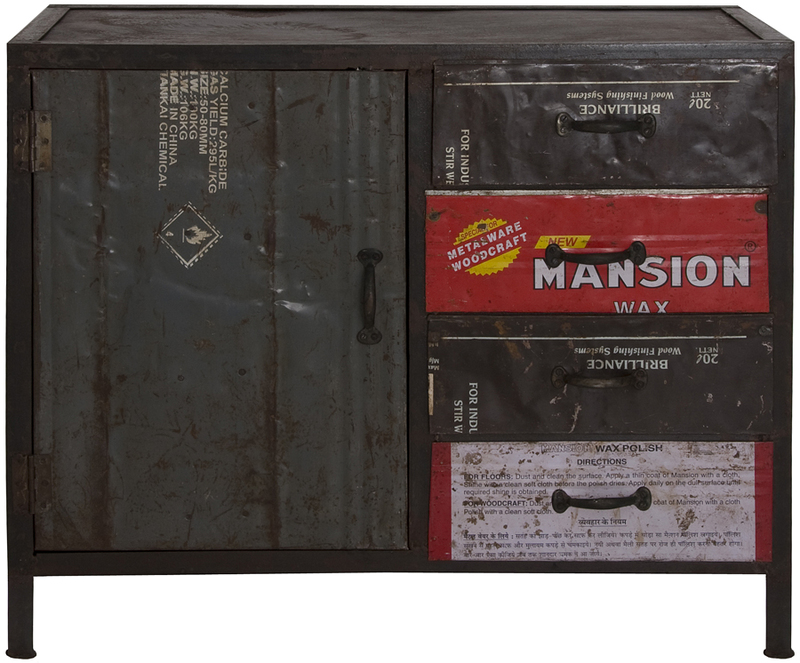 Ottoman from JVB. 3. 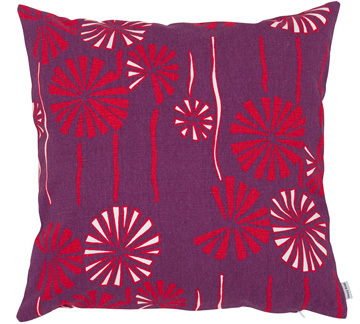 Scatter cushion in warm tones filled with part goose down inners – to further ‘sink’ into. 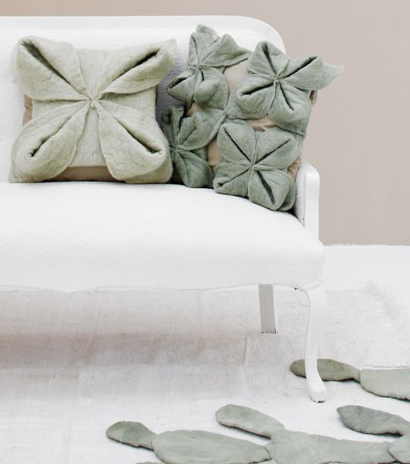 Scatter cushions from Cushion Snob. 4. Warm winter throw blanket. Beautiful fluffy throw from Loads of Living. 6. A side lamp or standing lamp- both for the ambient effect / reading. GORGEOUS brass Lab Light from Anatomy Design. 8. Slippers. These funky sheepskin beauties are from Sheepskin Slippers via Etsy. Love the colours! 10. A hot toddy or cuppa hot chocoffie. 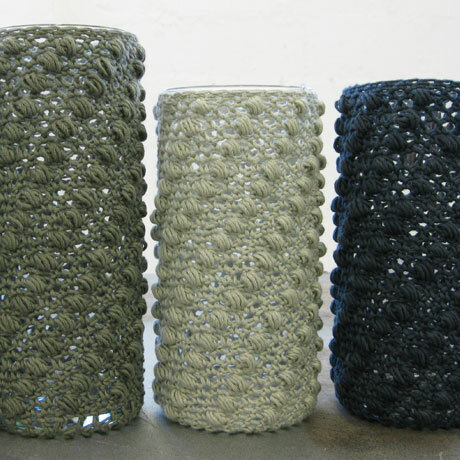 Stunning translucent ceramic mugs from John Newdigate Ceramics. You now have the essentials for a toasty winter’s evening at home. Catch up with you again soon. 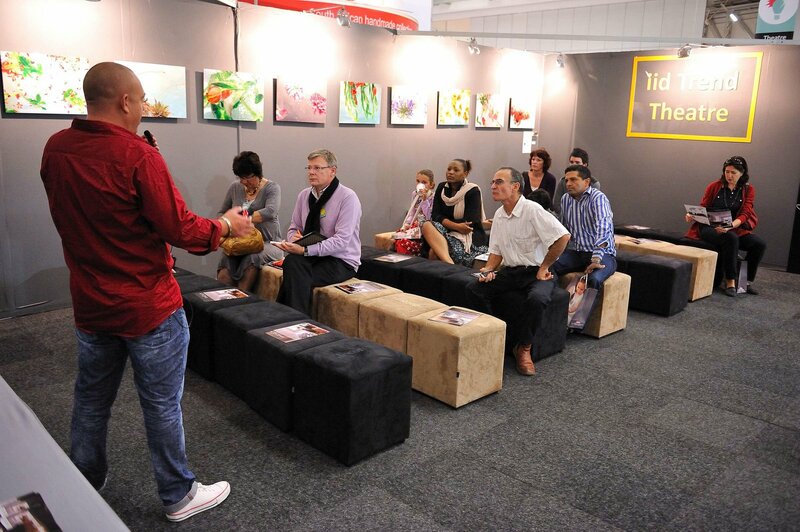 One of the interesting features of the recent Decorex Cape Town Expo was the Trend Talk given by Trend Forecast guru, Dave Nemeth. Here in our office we seem to inadvertently watch the trends by being avid bloggers. Nevertheless, it was fascinating to listen to Dave open them up like the expert that he is. He has been a player in the interiors trade for many years and it seems that the last few years have seen him trotting around the globe, trend watching. I like that we have our own proudly South African Trend gurus. How is a trend established? I guess most of us are aware of the fact that Fashion and Interiors walk side by side, in terms of pattern, texture and colour trends, particularly the Cat Walk. However, trends are not just established willy nilly. Other factors that influence the establishing of a trend are: What is the consumer experiencing; how are global politics and economics impacting consumers and then of course what impact is technology having on the consumer? 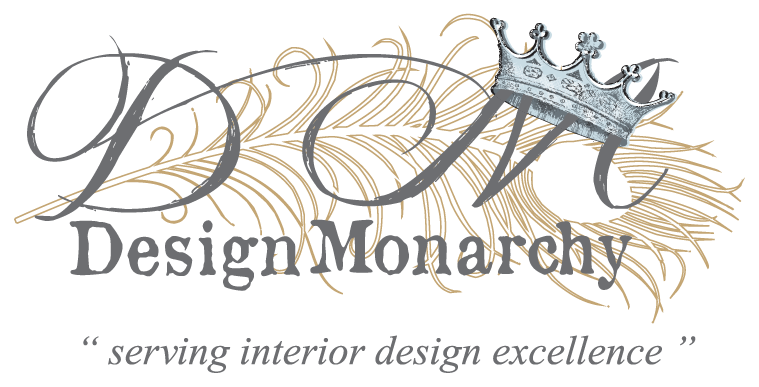 Research Information coming out of these influences is collated by Trend Forecasting Agencies for the benefit and application by Interior Designers, Retailers and Manufacturers who develop it further. FACT – Two types of trends – micro trends and macro trends. Micro trends are those that fleetingly come and go. Naturally that would make a macro trend the stayer- for a good few years, much like the few I am about to highlight. Colour – the impact of the recession in our global economy was reflected in the muted colour palette of grey and neutral tones. 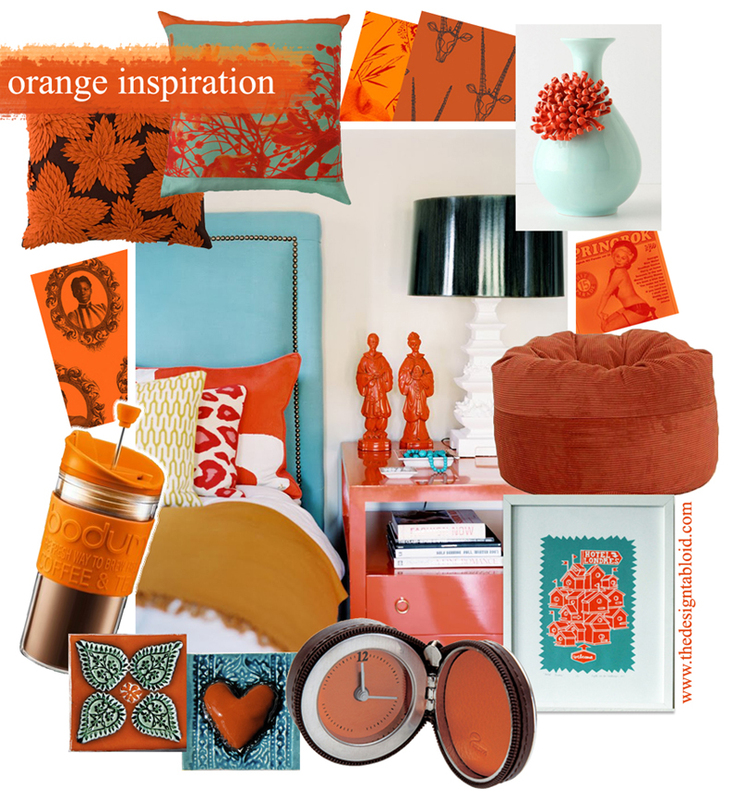 (Mood influences colour). Now that the movement in the economy is more optimistic, the inclusion of strong pinks and berries colours are evident. 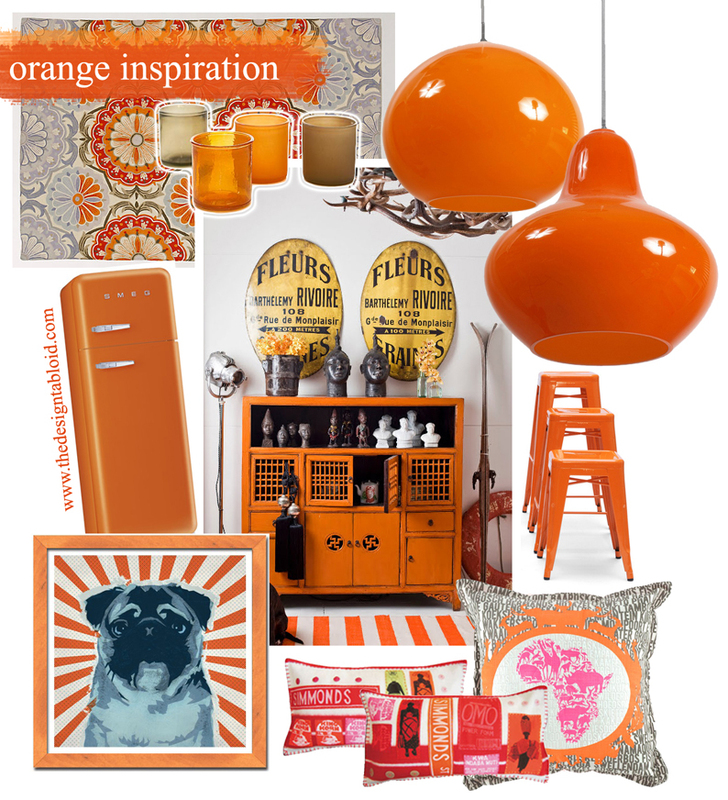 We are feeling upbeat and even if you aren’t at that place yet, indulge these colours and you soon will. Furniture: Dave highlighted the fact that coming out of the recession, the consumer has become a cautious and conscious buyer. 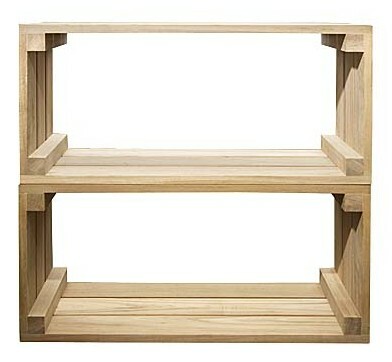 As such quality is a strong determinant in the furniture we buy, with resurgence of solid woods. 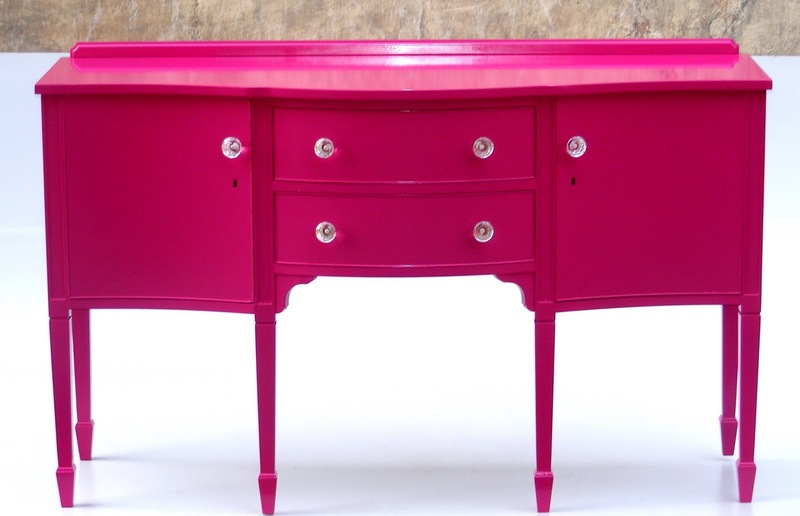 Solid woods in the form of re-cycled furniture, or up-cycled furniture (vintage, heritage or retro second hand pieces, that get the conversion treatment to a snazzy modern furniture item). 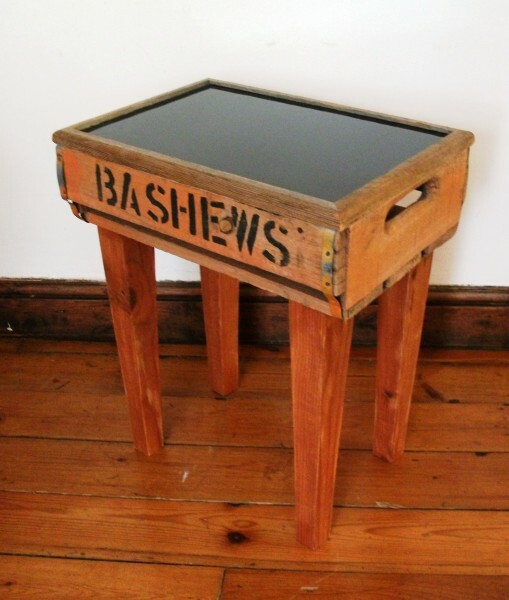 Handcrafted furniture is also very big, as is the industrialised look and feel. It seems that tactile is the buzz word – we are experiencing a great deal of texture in our furniture, with open grain tables being more the rage. 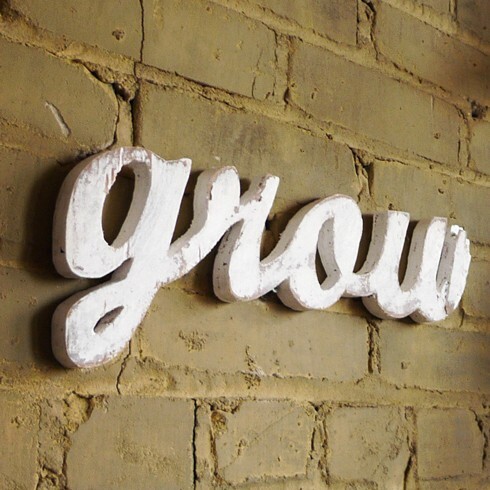 (I personally love this trend, as authenticity is one of my values in life). Lighting: The shapes we find in table and standing lamps are both organic and angular. 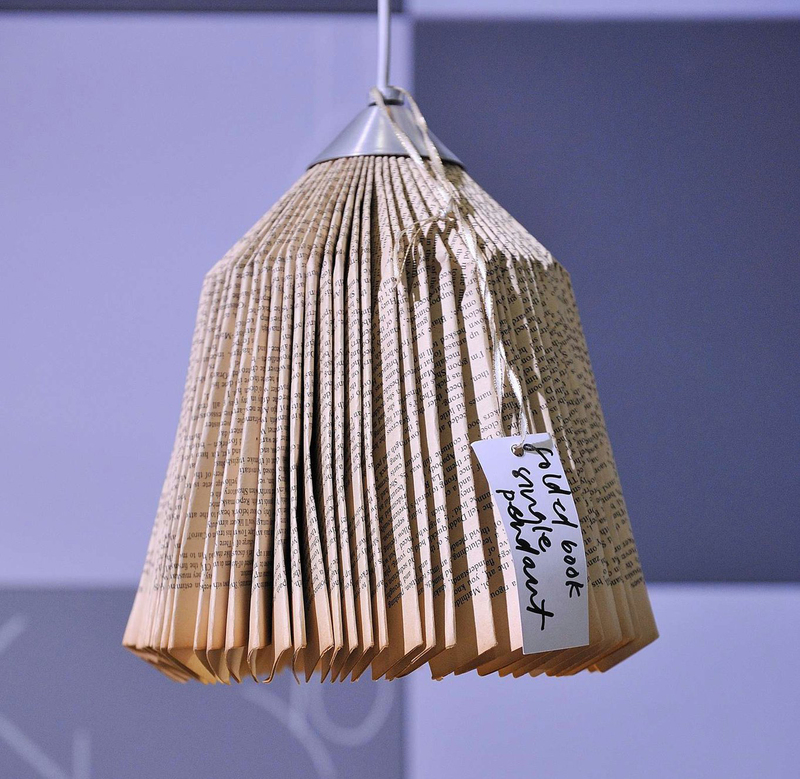 That was seen in the products on display by Newport Lighting, a local-is-lekker company. Expect to see more lighting that feature exposed bulbs (frosted bulbs – not your standard bulb). Wire caging surrounding the bulb is apparently also the way to go. Nice. Accessories: Now this is the exciting part – it’s affordable. 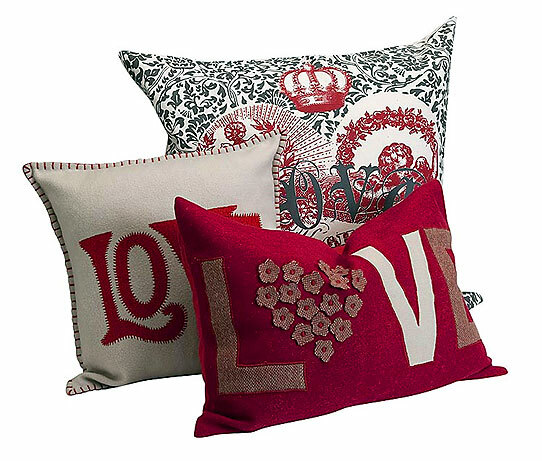 Textured scatter cushions – embroided, felt, cable knit, plenty of bright colours. 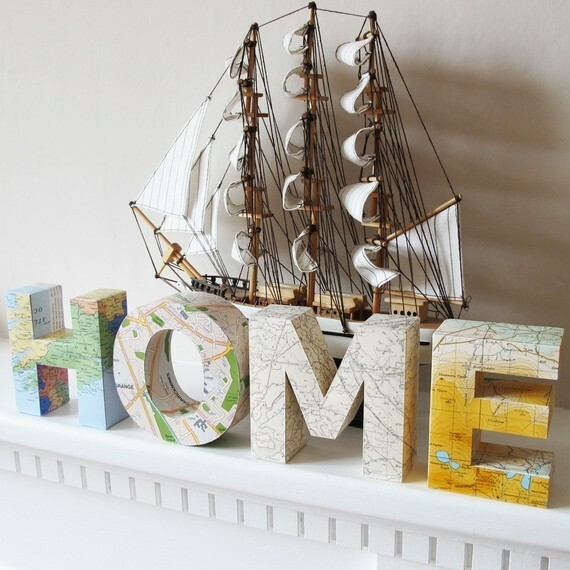 Then Typography – words, letters, phrases all available to you to display in your favourite rooms. 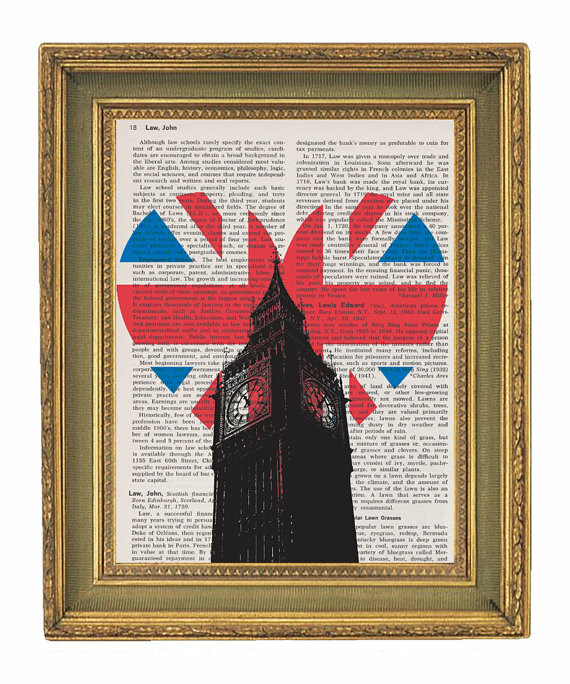 Add into this collective mix, Anglophilia – all things Brit. Green: There is however one distinct characteristic that runs through all categories – sustainability. 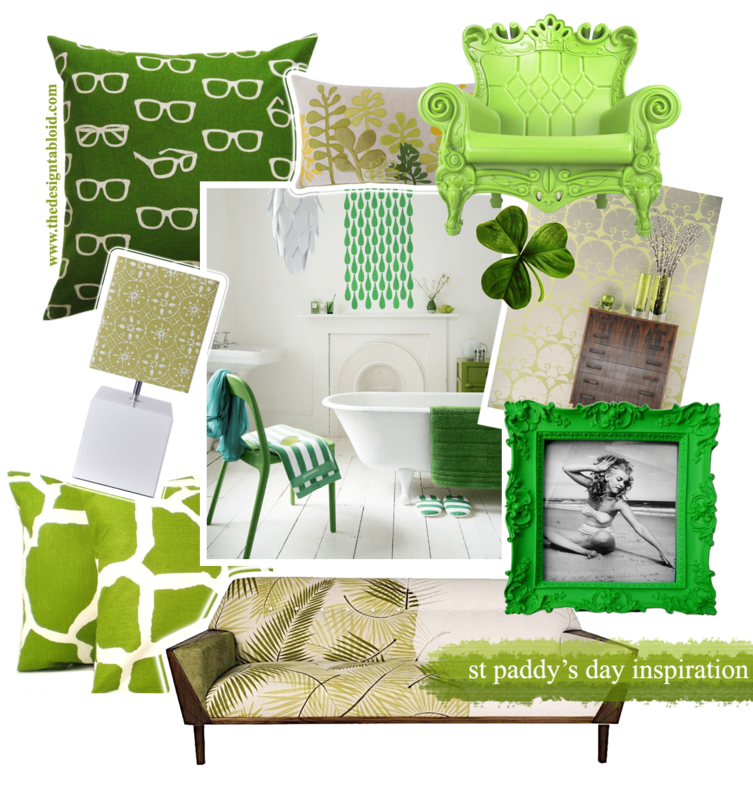 Green is here to stay!!! Dave presented a bucket load of information and I could go on and on. 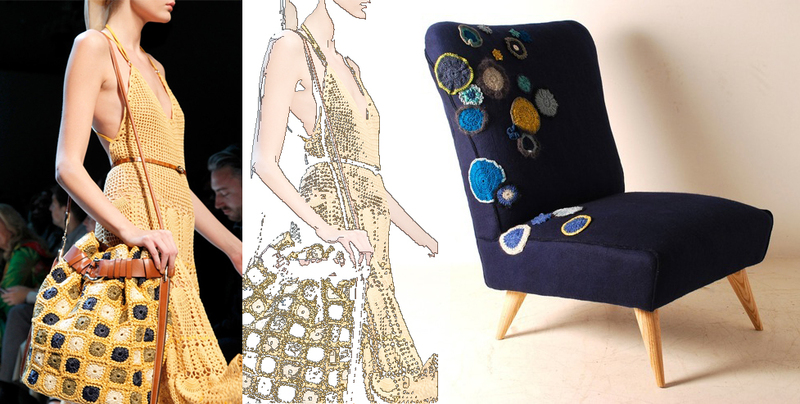 However from my observation, Decorex actually nailed the theme of the show – basic and beauty. We are living in a time where the superfluous has been and gone. We want to get back to our roots, our heritage and in doing so, find that grounded, safe and secure place again. So, we turn to the past and the heritage that is connected to that. We surround ourselves in colours, crafts and textures that add optimist depth to our being, bringing hope and meaning to our lives. What the future holds – we will allow the trend gurus to unfold that with each passing season. 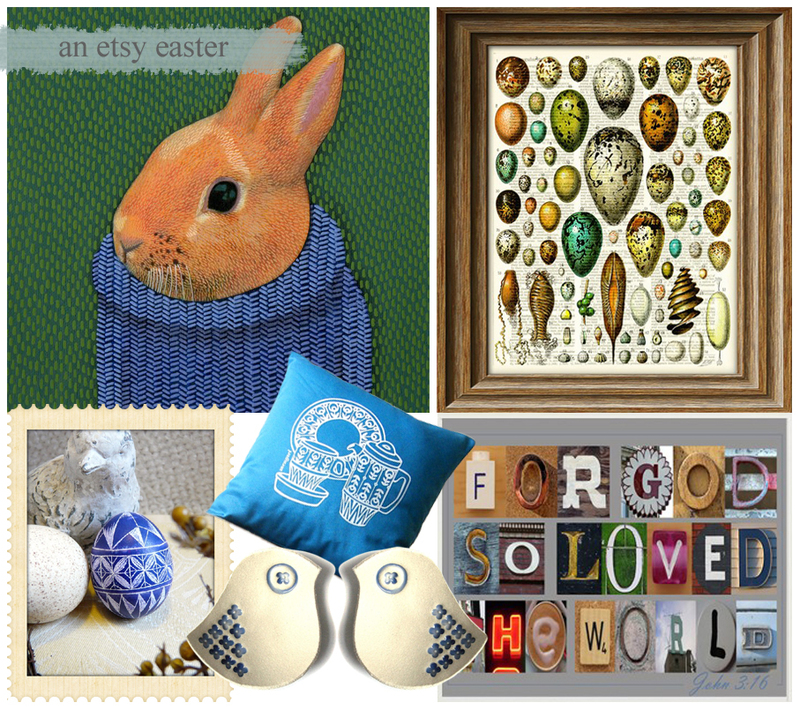 You see, all the lovely items below are from Etsy. If you are unfamiliar with Etsy: it is an e-commerce website focused on handmade or vintage items as well as art and craft supplies. It is a platform for creatives to sell anything from art, photography and clothing, to jewellery, ceramics and other bric-a-brac. Think of a cross between an amazing flea market and eBay. I could browse through Etsy for hours and hours. 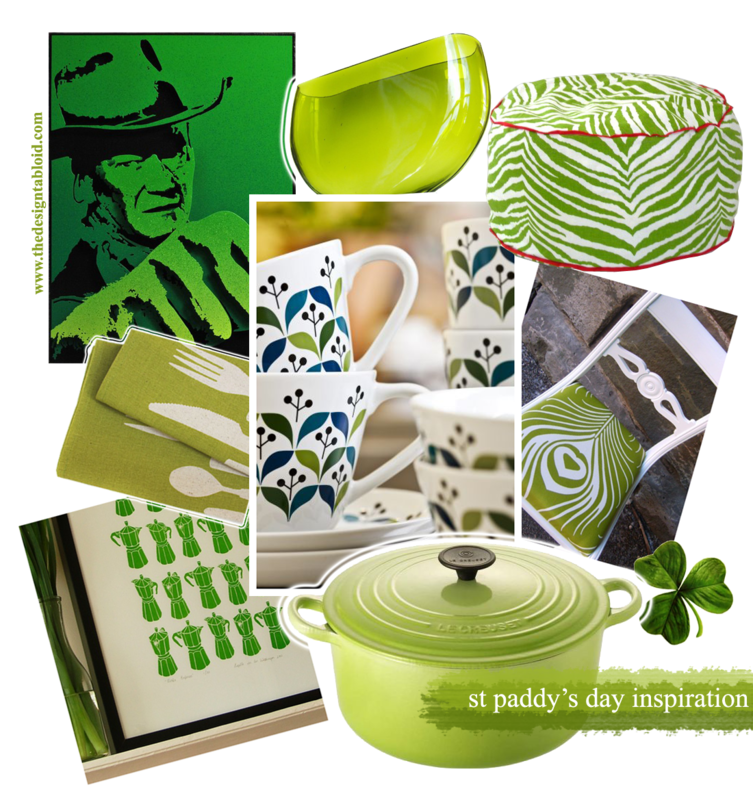 I noticed, unfortunately, that there are only a handful of active South African crafters (Skinny laMinx being one of them, by-the-by) using Etsy to sell their products. So, today I want to implore you, dearest South Africa, to use this amazing platform available to us. 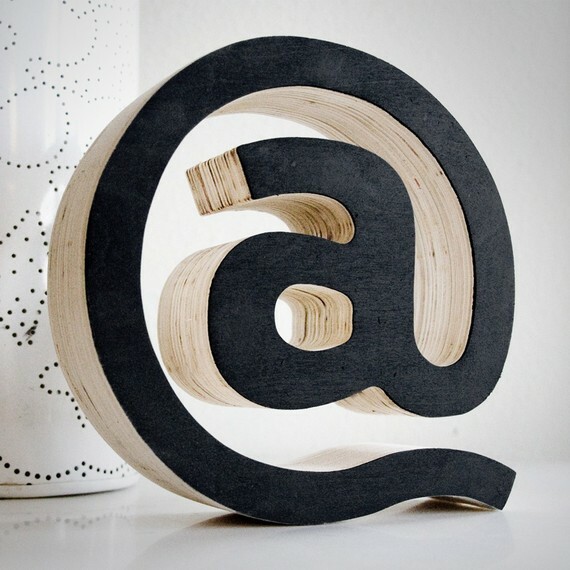 The global trend is towards anything and everything handmade and therefore websites like Etsy are flourishing because of the high demand for unique and quality crafted products. Now I know for a fact that we as South Africans have a vast amount of really creative individuals – let’s show the world what we are made of. Whether you are a professional fine artist or Polokwane housewife with a needlework hobby there is a spot on Etsy just for you. Happy crafting Mzansi, and have a blessed Easter.